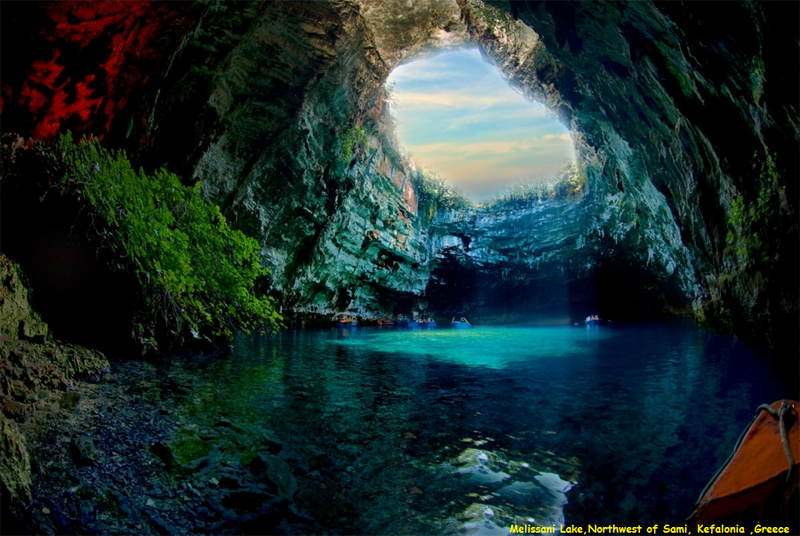 Melissani Cave Melissani Lake, also Melisani is a cave located on the island of Kefalonia, northwest of Sami, about 5 km SE of Agia Efthymia, NE of Argostoli and NW of Poros. The Ionian Sea lies to the east with the Strait of Ithaca. Forests surrounds the cave and the mountain slope is to the west. Near the cave is the entry to the cave with parking lots and is passed almost in the middle of the main road linking Sami and Agia Efimia especially to the northern part of the island. 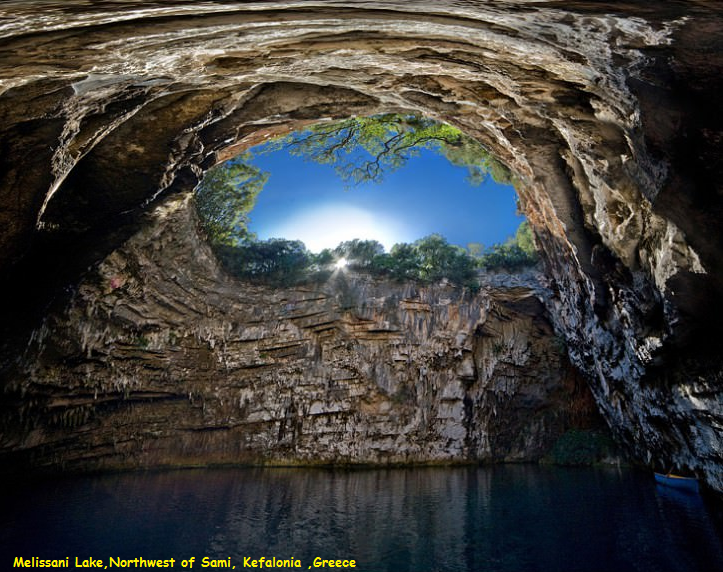 In Greek mythology the site is known as the Cave of the Nymphs. It has two big halls and an island in the middle. One of the halls opens on the surface and lets the light in, which makes the water so clear it seems that the boats are gliding through the air.